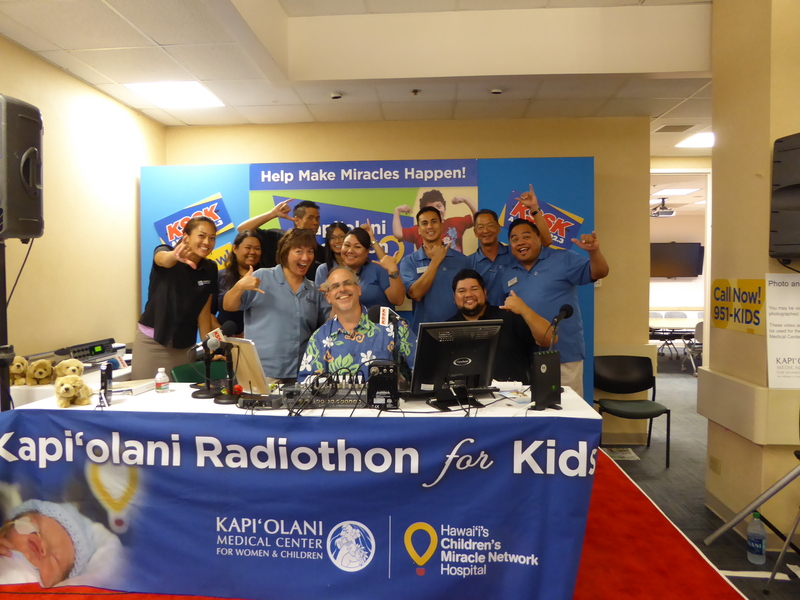 On Thursday, August 27, HiTel FCU employees volunteered at the annual Children’s Miracle Network – radiothon and telethon – at Kapi’olani Medical Center for Women and Children. Our staff eagerly answered phones to receive generous donations from Hawaii’s community. 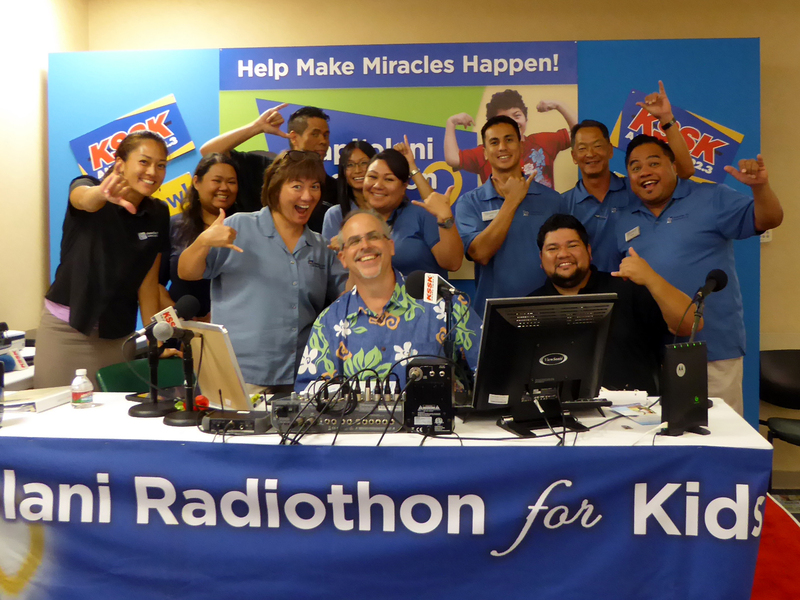 For the past nine years, KSSK has supported the Children’s Miracle Network, and has helped Kapi’olani Medical Center raised over 1 million dollars! All proceeds collected remain in Hawaii and provides assistance to the entire Pacific region. The time we spent at the hospital was humbling and heartfelt. We had an opportunity to meet some of the children and their families who received assistance. They were very appreciative and grateful because the Children’s Miracle Network’s monetary support they received was a miracle for their children! Mahalo, to everyone who pledged and contributed their time to a wonderful cause! This entry was posted in CU News and tagged Bishop Street, children, Children's Miracle Network, CMN, community, credit union, donations, Downtown, ewa beach, family, finance, Fort Street, friends, gifts, Halekulani, hawaii, hawaiian tel fcu, hitel, HiTel staff, hitelfcu, honolulu, Kaimuki, Kalihi, Kapalama, Kapiolani Kids, Kapiolani Medical Center, kapolei, kids, kssk, kunia, making miracles, matching, mccully, mililani, miracles, radiothon, Schofield, Sheraton, support, telethon, thank you, Tucker, Wahiawa, Waikiki, waipahu, Wheeler AAF, women by Hawaiian Financial Federal Credit Union. Bookmark the permalink.